One of the great challenges in reading the Bible is sifting through multiple layers of relevance in the gospels of Jesus. 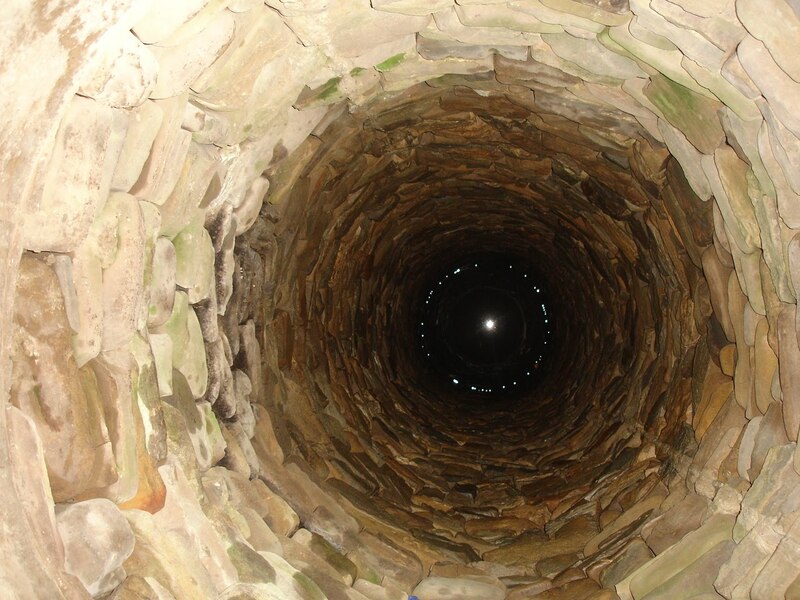 Recently, I was reflecting on the story of the woman at the well. Aside from the obvious illustration of Grace, the brief encounter has layers of meaning that can be understood only when we understand the culture in which it occurred. Culturally, Jesus was not supposed to speak to a Samaritan woman because he was a Jew. Jesus, as we know, was not one to conform to social norms. So, when he asks her for water it catches her by surprise. This is when we see the depth of meaning in the story. Jesus offers her living water which we often equate with eternal life. However, it is much more. In Jewish tradition, baptism can be done two different ways – ritual washing of hands or immersion. A tevilah, or baptism, is a Jewish ritual cleansing. I have discussed the reasons for Jesus’ baptism in an earlier article, so I won’t go too deeply into that here. In many cleansing rituals, the person being baptized must be immersed in a stream or Mikvah (baptismal) with flowing water. The flowing water is called “living water” and is supposed to wash away the dirt. In the traditional sense, Jesus is offering to wash away her sins. So, how does she react? At first, she does not appear to understand the significance. It is then that Jesus begins to reveal his identity to her. When he asks her to fetch her husband so that he can also accept “living water,” she explains that she does not have a husband. Jesus explains that he knows this fact and elaborates that she has had five husbands and is currently living with a man out of wedlock. She begins to understand who he is. He confronts her shame as a way to reveal his power. It is important to understand here that Jesus is not judging her or condemning her. She is not a Jew and is not under the Law – so preaching at her would only turn her away from his ultimate message. Even today, we see that it is easier to persuade people with gentle words than with condemnation. Many people have been driven to the gates of hell by well meaning Christians spewing fire and brimstone (condemnation and judgment) when Grace would have yielded a spiritual harvest. As Jesus reveals his identity to the woman, she begins to understand that “living water” is forgiveness. On a personal level, we do not know much about the Samaritan woman but we can discern a few things. She’d had five husbands and was currently living with another man. She was not proud of her place in life. It is likely that she had been shunned by her family and, like many women today, found herself in a life that was not what she dreamed of as a young girl. This is revealed by the way she questions why Jesus would be speaking to her. She had resigned herself to a lower station in life and expected little good. It can also be assumed that her presence at the well at noon (the sixth hour in the Jewish view of counting time) was during the hottest part of the day – when she would have seen few people along the way – thus avoiding confrontation. Jesus knew her shame, her pain, her guilt, and her issues with low esteem. He did not judge, but offered her redemption in his “living waters.” He spoke to her in such a way that she confessed her wrongs to him. In doing so, he created a believer who evangelized to the rest of the village and many more were saved. Too often, we follow the example of the Pharisees and apply legalism when we should offer Grace. The Old Testament is an amazing group of books detailing the path of humanity’s relationship with God leading up to the arrival of Christ. However, we must remember that the Jews ASKED for the Law and it became their burden. Paul called it the tutor, but what was it teaching? Many would say that the Old Testament laws tell us how we MUST live. This is not true. The Old Testament laws were a tutor because they taught us that no one is righteous and no one is perfect. Jesus came to complete the Law. With Grace came freedom — and that is a good thing. Legalism is a curse, of sorts. To be kept in custody is to be kept in prison. The Law served to bind people in their sins so that they would realize that they needed Grace and Faith and could not be righteous through their deeds. Thus, to bind yourself to the law is to bind yourself to sin. Keep that in mind the next time some well meaning person begins to quote legalism. We cannot pick and choose. If we choose the Law, we must follow all of it. In doing so, we reject Grace. The Bible also tells us to gently minister to someone when we see them stumble so that we don’t also stumble. Being a Christian means emulating Christ in our own lives. So, when we approach someone, it is ok to disagree but it is never acceptable to judge or condemn. We don’t have the insight Jesus had. We cannot see the pain a person carries in their life, but if we ask and listen we might be able to ease their burden.